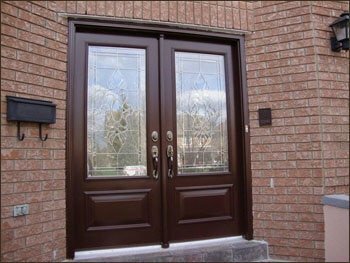 Windows and Doors in Markham from The Window and Door Specialist Ltd.
As a leading supplier of windows and doors in Markham we offer a huge selection of replacement windows and doors including energy-saving windows, patio doors, garden doors, storm doors, entrance doors and porch enclosures in every type of material imaginable. Below is an example of a new painted steel entry door system with raised panels and stained glass installed into a home in Markham. 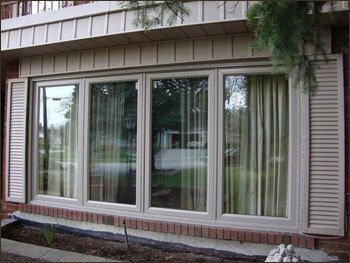 Below is an example of new casement windows installed in a Markham home with slim profile frames for improved sight lines and maximum light flow. "Their work was very neat and it looks very good. The window is a beauty." "I am pleased with the installers. They are very efficient."